SKU: PD-DRAGHEAD. Categories: Pendants, Mythical Creatures. 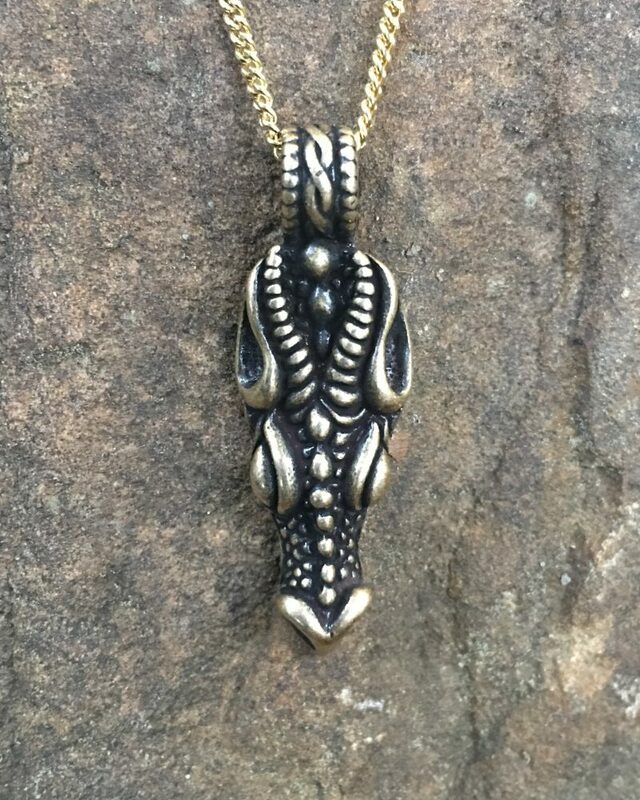 Draw upon the strength of the Dragon with our Dragon Head Pendant. 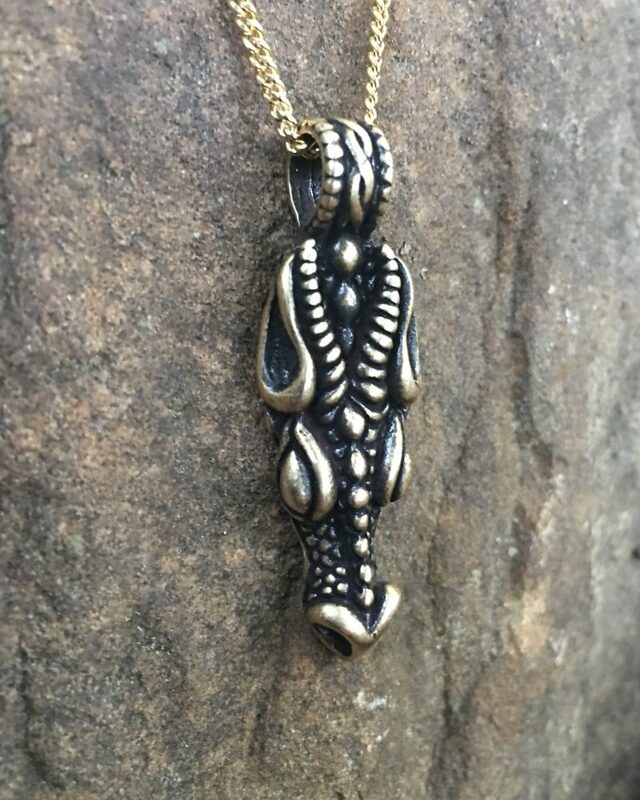 Our Dragon Head Pendant is 0.5 x 1.75 ” (13 x 44 mm). It is available in bronze or sterling silver, and it comes with an 18″ gold or silver-tone steel chain. Celts thought dragons were wingless creatures, appearing as worms or water-serpents. As dragons traveled across the land they created lines (called “ley lines” or “dragon lines”) in the earth. The lines were conduits of energy. Any place where the lines crossed was a place of increased power. An example of this is Stonehenge where many believe the sacred stone circle was built on a power center created by crossing ley (dragon) lines. Dragons were so revered by the Celts that they were adopted as a symbol of the power of the chieftain. In fact, the Celtic name for chieftain is “Pendragon”.